New research out of Purdue University finds that a global warming event called the PETM made parts of the tropics too hot for living organisms to survive. And though the PETM happened many millions of years ago, these new scientific revelations are pertinent to the present day. The reason is that human activity in the form of fossil fuel burning is now rapidly causing the globe to heat up. And such warming, if it continues, could well turn large sections of the tropics into a dead zone. 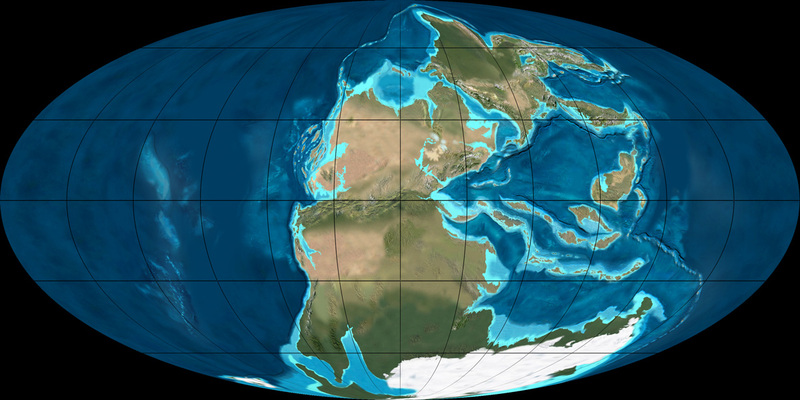 The PETM was a big global warm up that happened 56 million years ago as the Paleocene epoch passed into the Eocene. It is numbered as one of many hothouse extinctions occurring in the geological record. And it is generally thought to have been one of the milder such events — especially when compared to the biosphere wrecking ball that was the Permian. During the PETM, global temperatures jumped by 5 degrees Celsius above an already warm base-line over the course of about 6,000 years. And research indicates that the resulting heat stress set off massive wildfires, forced land animal species to move pole-ward, and killed off a big chunk of the ocean’s bottom dwelling foraminifera. However, past scientific consensus held that the tropics still managed to support life during the PETM due to a kind of thermostat-like heat regulation preventing the equatorial region from becoming too warm. Temperatures were thought to have remained within a range that would have continued to support life in this lower latitude zone. So it was only thought that the tropics experienced die-offs during ancient and more intense warming events like the Permain of 250 million years ago. The new research by Purdue scientists calls that theory into question. Their findings show that temperatures crossed a key threshold — becoming too hot to support life throughout sections of the tropics and rendering large areas uninhabitable. During the present day, about half the human population, a good chunk of the world’s life forms, and a considerable amount of global farming occupies the tropics. However, according to recent research by the Max Planck Institute, parts of the tropical zone could be rendered basically uninhabitable to human beings by mid Century as the Earth heats up due to fossil fuel burning. And already, the critical region of Equatorial Africa and the adjacent Middle East are experiencing record droughts, water stress, and instances of hunger, famine and related food insecurity as global temperatures rise to 1 C or more above 1880s averages. The serious concern is that as the world warms up — a humanitarian crisis of unprecedented scope could emerge as whole countries become unable to support their populations. As entire regions become too hot to live in. And as major swaths of global farmland become non-productive. The present narrative hints that human civilization can somehow adapt by shifting farm zones northward. However, it’s worth noting that boreal regions do not support the same highly productive soils as the tropical and temperate zones that are now under threat due to rising temperatures. In addition, the nations of the world have thus far shown considerable reluctance to accepting refugee populations from destabilized zones. And as the world heats up, desperation will only increase as waves of refugees seek to remove themselves from what could well become a kind of global warming produced dead zone. The Perdue research underscores a very real risk that we are now facing. It shows that the tropics did not self regulate temperature in a range conducive for life during the PETM. And these findings reinforce present temperature and soil moisture research trends placing human habitability and crop production under threat due to fossil fuel based warming this Century. 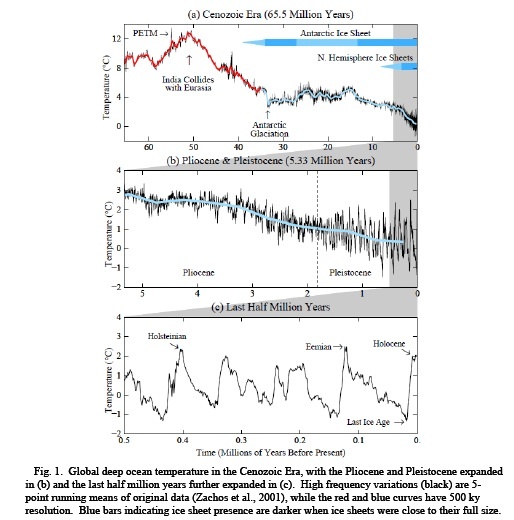 “If you look over the entire … last 66 million years, the only event that we know of … that has a massive carbon release and happens over a relatively short period of time is the PETM. We actually have to go back to relatively old periods. Because in the more recent past, we don’t see anything [even remotely] comparable to what humans are currently doing.” Richard Zeebe of the University of Hawaii in a recent paper published in Nature. Let’s be very clear. The human fossil fuel emission is outrageous and unprecedented on geological timescales. An insult the Earth has likely never seen before. For the pace at which we are emitting carbon into the atmosphere is just flat out insane. We’ve known this for some time because the best of science can’t find any time in all of Earth’s geological history that produces a rate of atmospheric carbon accumulation equal to the one that’s happening now. However, a new study recently published in Nature now sheds more light on this rather difficult and scary topic. But in order to find an event that is even remotely comparable to the current human greenhouse gas emission, scientists had to look far back into deep time. All the way back through a period when the last of the Dinosaurs were dying off about 55-66 million years ago. During this time we find evidence of the most recent Hothouse Mass Extinction Event in the geological record. We call this event the Paleocene-Eocene Thermal Maximum or PETM because it’s an extreme period of rapid warming that occurred at the boundary between these two periods of Earth History about 55.8 million years ago. The PETM was pretty amazingly bad. 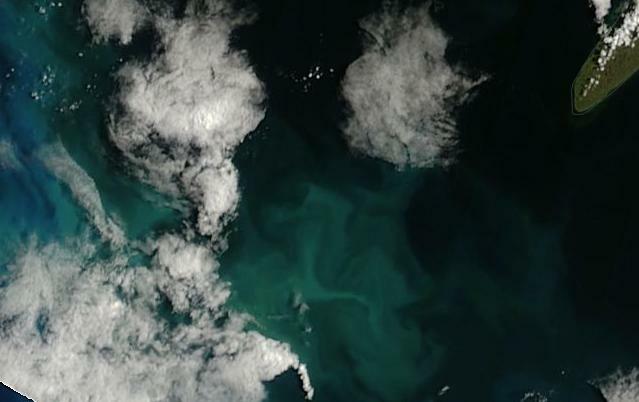 It set off a mass extinction in the oceans which wiped out half of all shellfish through the varied impacts of anoxia, acidification and coral bleaching. Its heat forcing was enough to completely reverse ocean circulation and set up a stratified ocean state. Peatlands and forests went up in mass conflagrations. Terrible insect plagues swept the globe. The related extreme surface temperatures forced a mass poleward migration and widespread genetic alteration of mammals which were eventually reduced to dwarfism. It was a rough and wrenching time of change and difficulty for pretty much all of life on Earth. But what the new study finds and confirms is that the rate of atmospheric carbon accumulation during that extinction period, though enough to cause seriously dramatic climate shifts, was much, much slower than what we see now. 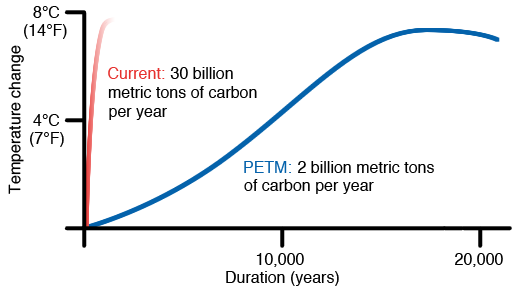 On average, over the PETM extinction event, rates of atmospheric carbon accumulation were found to be in the range of about 1.1 billion tons per year. By comparison, human carbon emissions during 2014 were about ten times this level at around 10 billion tons of hothouse gas hitting the atmosphere. As such, the new study finds that the velocity of the human carbon emission exceeds that of the Paleocene-Eocene hothouse extinction event by an order of magnitude (x10). Study authors found that the large carbon emission occurred over the course of about 4,000 years. This spike in atmospheric carbon coincided with an approximate 5 degree Celsius spike in global temperatures in the 4,000 to 12,000 year time period. This implies a rate of warming of at most around 0.12 degrees Celsius every 100 years (or as little as 0.04 degrees Celsius per Century). 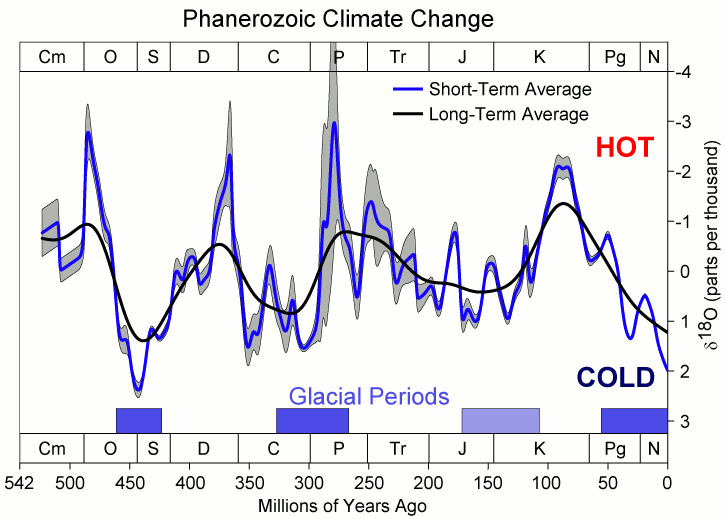 Other estimates put the rate of PETM warming at around 0.025 C per Century. Expected human warming between 1 and 5 degrees Celsius this Century is therefore about 10 to more than 200 times faster than during the PETM extinction event given the best available current scientific evidence. Such high rates of atmospheric carbon accumulation and related global heating risk generating an event that is outside of any geological context that scientists might use to predict the human warming event’s severity. In other words, if you’re adding carbon to the atmosphere at a rate ten times faster than during one of the most remarkable warming events in Earth’s History, then the pace of wrenching geophysical changes and the extinction pressure on organisms is going to be far, far greater. Something that is certainly worse than the PETM and that may even exceed the terrible losses seen during the Permian Mass Extinction if we don’t get a handle on our fossil fuel emissions soon. 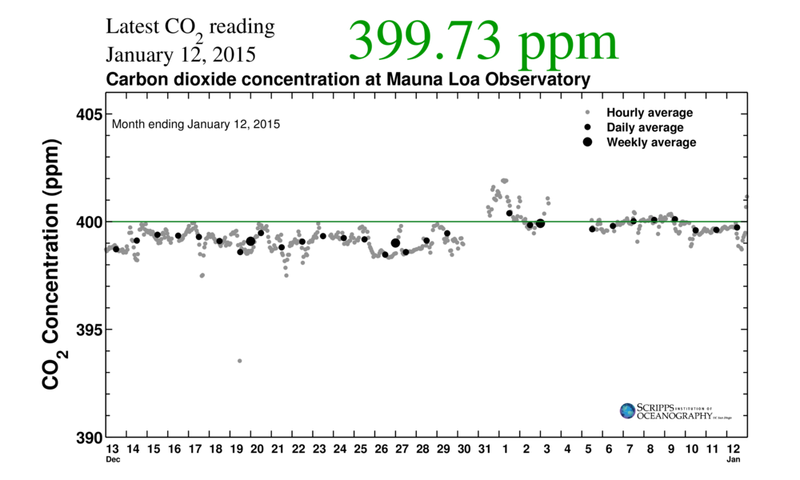 For 2015, CO2 levels will remain above the dangerous 400 parts per million level for almost 2/3 of the year. A perilous new record for a human-warmed world. The last time global CO2 levels averaged above 400 parts per million was more than 3 million years ago during the Pliocene. A period that was just beginning to see the dawn of humankind (Australopithecus emerged about 2.5 million years ago). It was a world of 25-75 foot higher seas. A world where much of Greenland and West Antarctica was ice free. A world that took hundreds of thousands of years to settle into its climate patterns. But the current human tool-using species that is now warming the Earth so drastically would have to wait for about 2.8 million more years and for far cooler climes to develop. And that species would set conditions for a rapid shift to climate states not seen for 3 million years in just decades through a hellish pace of fossil fuel burning. For in just one century we’ve propelled ourselves back to that deep time. Back to a world climate state that is entirely alien to what we, and so many other animals, are accustomed to. For this year, human fossil fuel emissions will push 2015 to reach or exceed those 400 ppm levels for around 7-8 months running. By 2016, it’s possible that 300 part per million levels — the ones that dominated our environment for most of the 20th Century — will be little more than a melancholy memory as humans face off against a series of increasingly dangerous geophysical changes. All set off by the inexorable burning of fossil fuels. A malpractice that simply must stop. Current human fossil fuel burning coupled with a few, still somewhat contained, environmental carbon feedbacks are enough to push an annual atmospheric CO2 increase of 2.2 parts per million each year. It’s a pace of initial greenhouse gas heat forcing never before seen in all of Earth’s geological past — even during the greatest global hothouse extinction events. The fruits of dumping 36 billion tons of CO2 into the atmosphere each and every year. As a result, if current rates of burning continue or increase, we will see 450 parts per million levels well exceeded within about two decades. And that threshold will undeniably lock in at least 2 C worth of warming together with a growing carbon feedback from the Earth System itself. But this drastic pace of atmospheric greenhouse gas additions doesn’t tell the whole story. For if you add up all the other gasses humans have dumped into the atmosphere, all the methane and HCFs, all the industrial chemicals, you end up with a CO2 equivalent number (CO2e) far greater than the present CO2 measure. And that CO2e measure is set to hit 484 parts per million this year (With a nearly 50 gigaton annual increase in CO2e gasses each year). A level that, if it correlates with past climates, will push warming by 1.9 C this century and 3.8 C after the entire Earth System responds. A level not seen in at least 13 million years. A rather terrible situation to say the least. For at these levels, even the great ice sheets of Antarctica proper were much reduced and sea levels were 85-120 feet higher than they are today. And continuing to burn begs the very worst hothouse extinction consequences that come from wrecking the world’s oceans. Near the end of the first decade of the 21st Century Dr. James Hansen, former head of GISS at NASA advised the world community that the likely safe level of global CO2 was below 350 parts per million. This assertion flew in the face of some in the international community who were pushing for an established ‘safe’ level of 450 parts per million and below. A level, of course, which would allow for the burning of quite a bit more of the world’s fossil fuel reserves. But Hansen wouldn’t compromise. He felt it would be a betrayal to future generations. To his grandchildren. 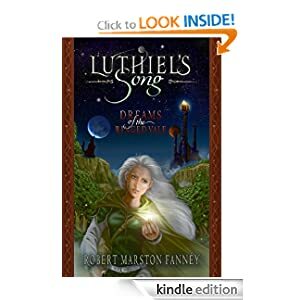 To all our grandchildren. So he set the safe limit at 350 parts per million with the caveat that we may need to reduce it further. In 2008, during the year Hansen set the 350 parts per million level, CO2 levels peaked at around 386 parts per million. For 2015, just 7 years later, levels will peak at around 404 parts per million. A rampant increase directly in the wrong direction. In order for rates of CO2 increase to begin to taper off, the world simply must stop burning so much in the way of fossil fuels. And even a full cessation of fossil fuel use would still result in some emissions unless both farming and construction were altered to reduce carbon emissions. Beyond this, atmospheric carbon capture through various methods to include fixing carbon capture and storage facilities to biomass generation and other land use and chemical based techniques are the most likely to be effective. Such a transition and change is as difficult as it is necessary. For the world as we know it simply cannot continue along its current path. Hansen was right and we should have listened 7 years ago. We should have listened in 1988 at his first major climate hearing. But we didn’t. And so valuable time was wasted. Let’s not make the same mistake in 2015.